A show guaranteed to enthral guitar aficionados, acoustic enthusiasts and music lovers in general, don’t miss the chance to see one of the UK’s most important and influential guitarists in action. Over five decades, Gordon Giltrap has graced the music business with his dedication to his craft and his affection for his audience. As one of the UK’s most respected guitarists, he has consistently proved the adage that respect cannot be bought; it must be earned. Now Gordon is back out on the road performing many of his incredible songs in what promises to be an electrifying acoustic show. Expect to hear classics such as Heartsong and Lucifer’s Cage alongside new material from his latest album, The Last of England. 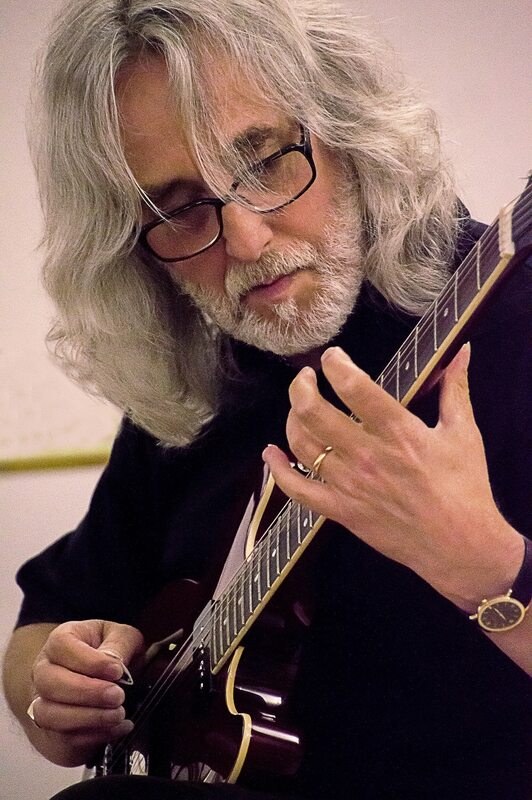 Gordon will be joined this evening by special guest Nicholas Hooper, guitarist and award-winning film composer. Nicholas will open the concert with a half hour solo set and in the second half will join Gordon on stage to perform some of his tunes in a duo format.